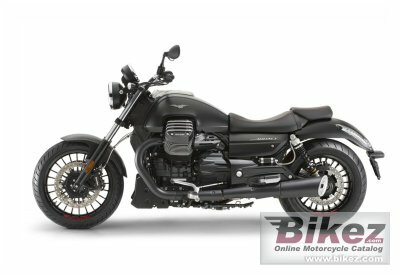 2016 Moto Guzzi Audace. Picture credits - Moto Guzzi. Submit more pictures. The Audace can be picked out immediately by its front end, stylistically �lighter� thanks to the circular headlight unit and the (real) carbon mudguard mounted on a fork without coverings. There are several other new features that contribute to enhance the muscular character of this bike: like the oil cooler air-scoop, the metallic radiator grill and the brand new total-black short megaphone exhaust. Price as new (MSRP): US$ 15990. Prices depend on country, taxes, accessories, etc. Fuel system: Injection. Weber-Marelli electronic fuel injection. Rear brakes: Single disc. ABS. Floating disc. Ask questions Join the 16 Moto Guzzi Audace discussion group or the general Moto Guzzi discussion group. Bikez has reestablished Bikez.info motorcycle web shop overview. Here we present the major online shopping possibilities for motorcycle parts, gear and accessories. This includes customizing and insurance. Search and compare products and prices. Try our 2016 Moto Guzzi Audace discussion forum if you have questions or comments. Information about any technical issue is always welcome.